VICTORIA - Premier Christy Clark is warning the NDP and Greens that delaying work on the Site C project in northeast British Columbia could cost taxpayers $600 million. NDP Leader John Horgan wrote to BC Hydro last week asking it to suspend the evictions of two homeowners and urging it not to sign any new contracts on the $8.6-billion hydroelectric dam until a new government has gained the confidence of the legislature. But Clark says in letters sent to Horgan and Green Leader Andrew Weaver on Tuesday that the evictions are necessary as part of a road and bridge construction project that are needed to divert a river in September 2019. Any delay could postpone the diversion by a year and cost taxpayers hundreds of millions of dollars, she says. “With a project of this size and scale, keeping to a tight schedule is critical to delivering a completed project on time and on budget,” she says. “The requests contained in your letter are not without consequences to the construction schedule and ultimately have financial ramifications to ratepayers. The premier has asked Horgan and Weaver to reply by Saturday on whether they still want to put the evictions on hold. She also asks whether they want the government to issue a “tools down” request to BC Hydro on other decisions that she says are essential to maintaining the budget and construction schedule. An agreement between the NDP and Green party was signed last week that would allow the New Democrats to form a minority government, ousting Clark's Liberals. The agreement includes a promise to refer the Site C project to the B.C. Utilities Commission to determine its economic viability. But Clark says the project is likely to progress past the “point of no return” before a review can be completed. Clark did not define what she meant by “point of no return,” nor did she explain how she reached the $600-million figure. Her press secretary Stephen Smart referred questions to BC Hydro, which did not immediately respond. In a written response to Clark, Weaver says before he can comment on her assertions he requires access to supporting evidence, including signed contracts, the project schedule and potential alternative project timelines. “Please let me express my disappointment in how your government is choosing to proceed with this project,” he says. The dam will be the third on the Peace River, flooding an 83-kilometre stretch of valley, and local First Nations, landowners and farmers have fiercely opposed the project. Construction began two years ago. 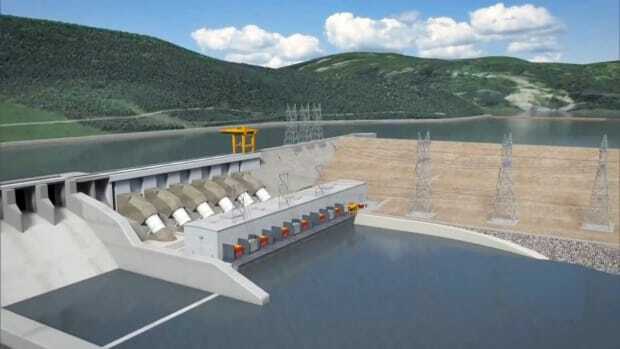 A report written by University of British Columbia researchers in April argued it wasn't too late to press pause on the project and that the electricity produced by Site C won't be fully required for nearly a decade after it's complete.